The 2-page PDF linked documents listed below give a snapshot of priorities, how people might work with SOPA and how SOPA could work with them. Use the back button to return to the Events page. Click on the name to open PDF. The process of visiting local groups around Scotland continues. 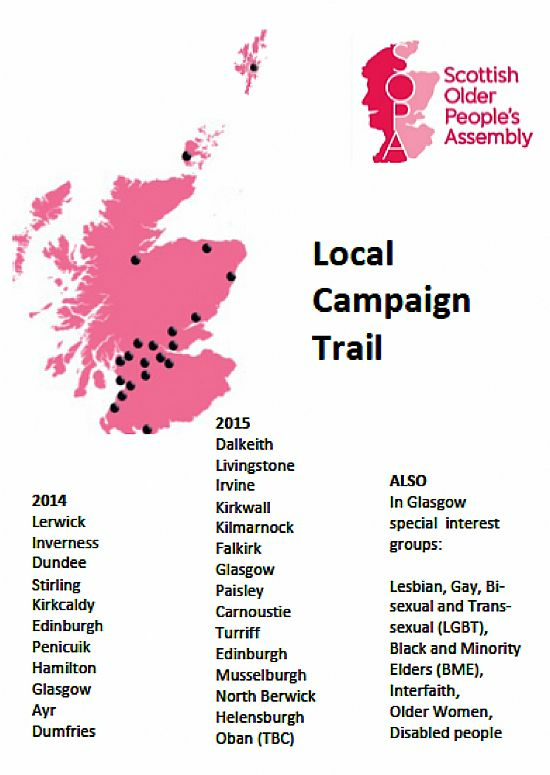 At the foot of this page see Campaign Trail locations and dates during August. 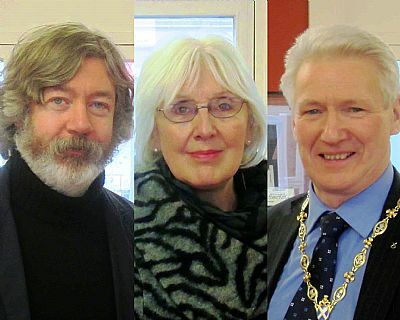 (Left) First Meeting in Dalkeith in January: Eric Johnstone - Midlothian Voluntary Action, Glenda Watt - SOPA Coordinator, and Midlothian Provost - Joe Wallace. At Livingstone on 3rd February. He talks about why SOPA is travelling the country to connect with people in their own towns and what this will achieve in terms of influencing government policy. 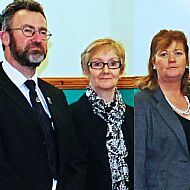 Picture left: Steven Heddle, Convener, Orkney and Islands Council, Gayle Anderson CEO Orkney Voluntary Action, Gillian Skuse, Age Concern Orkney. 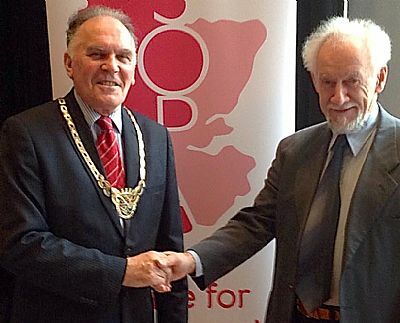 Provost Pat Reid welcomes SOPA's Chair Tom Berney to the Falkirk meeting on 6 March. 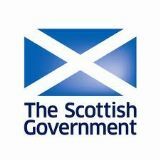 Glasgow: 10 March, Meeting with the Scottish Pensioners Forum and its members. 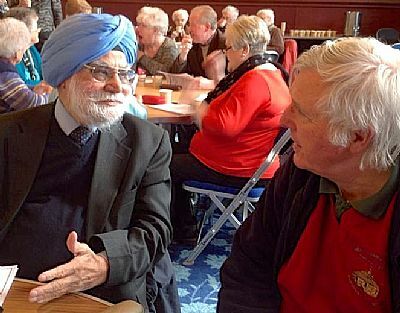 Alan Sidaway, SOPA Vice Chair, in conversation with a member of Paisley's Sikh community. Edinburgh: 19 March, 10.00 - 15.15, City Chambers. Introduced by Rt. Hon. Donald Wilson, Lord Provost of the City of Edinburgh. Carnoustie: 24 June, 12.30 - 3, Carnoustie Golf Hotel. 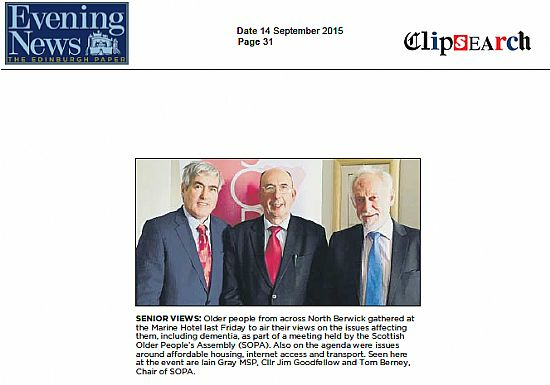 The Courier features the first visit of SOPA to Carnoustie - http://bit.ly/1J9vnxW. In the Golf Hotel people raised their concerns about potential loneliness in later life, the availability of personal care, if required and rocketing fuel costs. The Arbroath Herald also ran a feature on it. See Facebook. Musselburgh: Dementia Friendly East Lothian, 18th August, 12.30 – 15.30, Brunton Theatre. 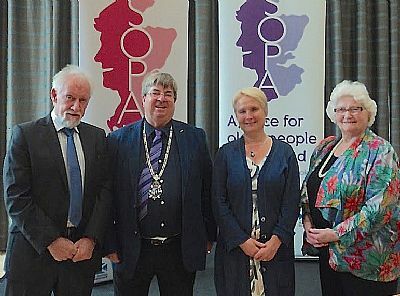 Chair Tom Berney, Deputy Provost Jim Gillies, Head of Dementia Friendly East Lothian Sue Northrop and Diana Findley, SOPA Committee and Borders Older People’s Services Forum. Glasgow: Black and Minorities Elders, 19 August. 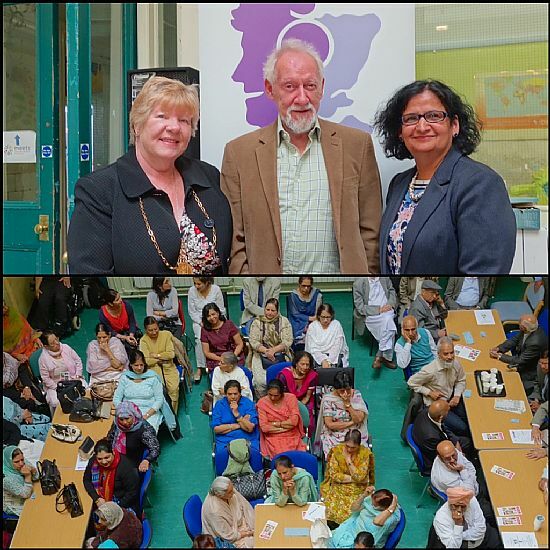 Top: Baillie Anne Simpson, City of Glasgow, SOPA Chair Tom Berney, and Rohini Sharma Joshi, Trust Housing Association (Equality Scotland) who translated the speakers words into Punjabi. Below:A colourful spectacle as 80 people from Glasgow's BME community packed into the assembly hall of Napierhall Street Centre (formerly a primary school) to make their voices heard. More pictures on Facebook. North Berwick: Dementia Friendly East Lothian, 21st August, 12.30 – 15.30, Marine Hotel. 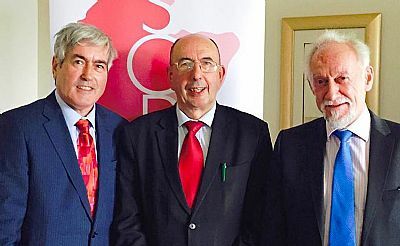 Below Iain Gray MSP, Councillor Jim Goodfellow and Chair Tom Berney at North Berwick. See Iain Gray's comments on Facebook. Sue Northrop of 'Dementia Friendly East Lothian' did a superb job hosting the Musselburgh and North Berwick meetings. Edinburgh Evening News picks up on the event. Helensburgh: Grey Matters, 29 August, 12.30 – 15.00, Commodore Hotel. Around 60 people turned out in Helensburgh on a breezy Saturday afternoon for the SOPA Campaign Trail meeting - probably the last SOPA meeting before the Assembly in Edinburgh on 5th October. Opening proceedings, Councillor Gary Mulvaney (top picture - centre) spoke about the overall shrinking population of Argyll and Bute compared to a slight increase for Scotland as a whole. The danger is that services from the third sector, which have grown and support significant numbers of older, vulnerable people, could simply disappear because of less money on the table. 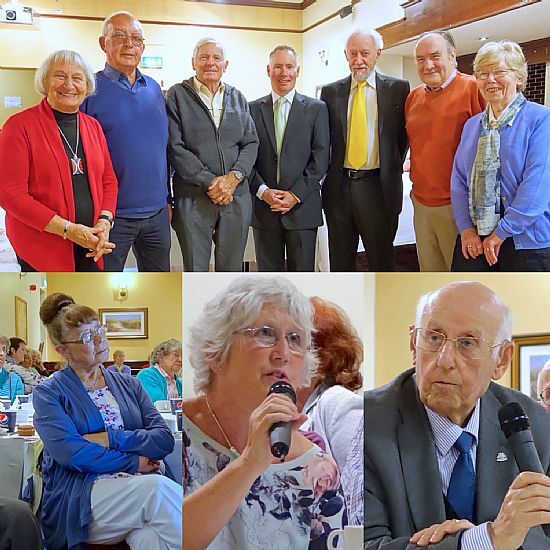 He spoke of difficult decisions ahead for politicians and the importance of hearing from older people about their priorities, and also the importance of attracting new businesses and jobs to the town which would benefit everyone in the community. All ideas welcome! 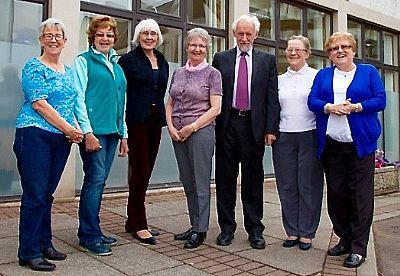 SOPA chair Tom Berney (3rd right) said how pleased he was to have the people from 'Grey Matters' add their voice to others from around Scotland before the Assembly on 5th October in the Scottish Parliament. Although there are always going to be specific local issues best attended to at local level, there are also more general problems that affect people through policies made in Holyrood and Westminster. “The people of Helensburgh now have a chance to feed into this national dialogue about how we shape the future for older people in Scotland”, Tom said. 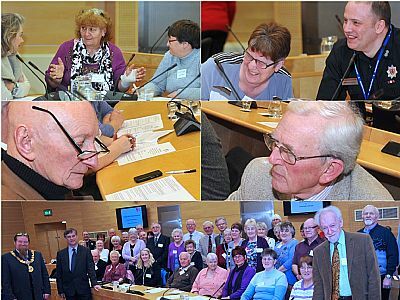 Grey Matters is a local forum for older people to become involved and have a say in community life in Helensburgh. 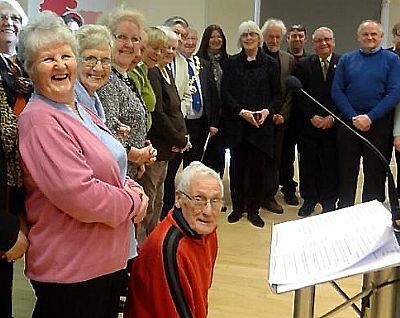 Rob Snodgrass, the spokesperson (2nd left) joined around 3 years ago, and said the group was a lifeline for many retired people in the town who meet regularly to make contact with councillors, and support local initiatives and each other. The venture is currently sponsored by Argyll and Bute Third Sector Interface. Grey Matter attendees in the top picture: (on the left) Margaret Spiers, James Orr and Dave Roper, (far right) Anne Oines. Pictures above: Engaged and vocal 'Grey Matters' attendees. More pictures on Facebook. Around 60 people from Oban packed into the Corran Hall on 13 November to attend a SOPA meeting. 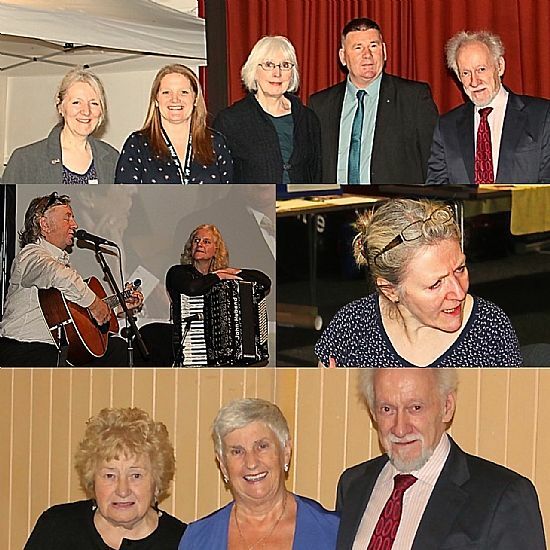 Top Picture: left to right: Jo Cowan (Development Officer for Highlands, Age Scotland), Laura Macdonald (Argyll and Bute Council Community Development Officer), Glenda Watt (SOPA Coordinator), Oban Councillor Roddy McCuish and SOPA Chair Tom Berney. Read Oban Times article on Facebook. These events are funded through the Big Lottery’s 'Awards for All'. Regular updates and more details on the website are uploaded as they become available.